No. 12 UCLA outlasted No. 13 Baylor in a neutral site matchup in San Diego, Calif., on Friday afternoon. The Bruins remained undefeated on the season following the victory and handed the Lady Bears their first loss of the year. 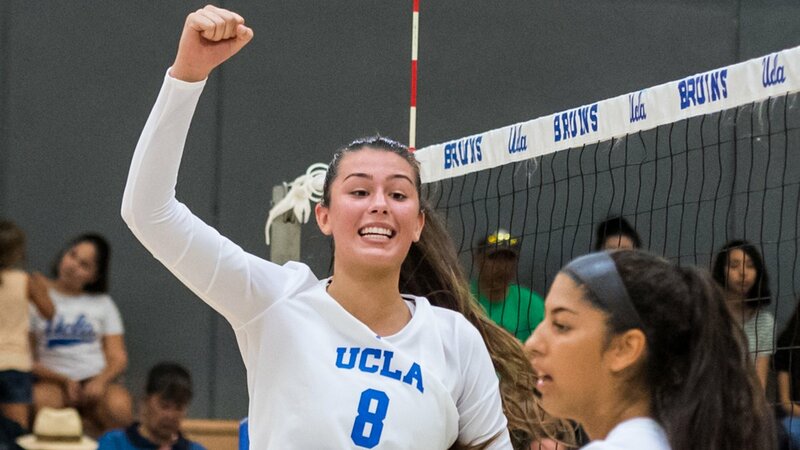 Both teams battled it out for the first set, as the score was tied at 21 before UCLA rattled off 5 of the final 6 points to gain an advantage, 25-21. Baylor meant business in the second and third sets, outdoing the Bruins, 25-15 and 25-11, respectively. The fourth set contained four early ties, but the Bruins pulled ahead with a 5-2 run. Baylor made a late push and cut the deficit to one, 22-21, however, UCLA closed it out with a kill by sophomore Mac May and two Lady Bear errors, 25-21. The deciding set included 7 tie scores and was an absolute war. The Lady Bears had the Bruins at match point, 16-15, following back-to-back kills by redshirt junior Shelly Fanning and sophomore Hannah Lockin, but the Bruins responded with a 3-0 run to steal the result, 18-16. May led the Bruins with a 21-kill effort and 9 digs, while sophomore Jenny Mosser (12 kills, 20 digs) and freshman Devon Chang (team-high 31 assists, 16 digs) each notched double-doubles. Senior Zana Muno and Mosser tied for the team lead with 20 digs. Sophomore Yossiana Pressley (23 team-high kills, 10 digs) and Lockin (57 assists, team-high 19 digs) recorded double-doubles for Baylor to lead the way. Fanning, who was selected Big 12 Co-Player of the Week on Monday, hit an efficient .455 with 18 kills, while junior Gia Milana, who transferred in from Maryland, tallied 12 kills. Junior Tara Wolf posted a team-high 29 digs.